we all know Google AdSense is not an easy getting Stuff, Our blog have to cross some quality needs before getting approved. As not to go far, there are some other blogs that generate high Traffic to their blog but google AdSense can't accept their blog when ever they apply they get a disapproval Mail to their mail inbox. So this to tell you that google AdSense is not dealing with traffic but your blog need to cross some quality needs. Blogger Templates are Very Important if you are looking for AdSense approval for your blog, Because Google Look at how your Blog is Design? is it Mobile Friendly? Easy To Nevigate? Is It Fast Loading? Is it PC Friendly? and in fact User Friendly and Finally how quality your contents are?. when You cross all this successful, I am telling you no way Google AdSense can reject your application. So That's why I Listed Top Best Blogger Templates Which you can Easily get an AdSense approval. Bayana Fast is one of the best responsive blogger template. 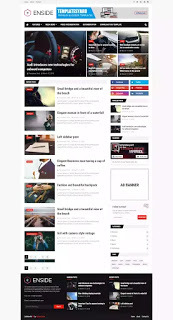 This Template is stylish, SEO friendly and beautiful looking magazine theme.it's a fast loading theme also, you can use this Template for Tech, News, magazine Niche blogs. You can easily put adcodes on adcode widget. SEO optimized template, If you want adsense approval faster I will recommend this to you. Palki 2 is a responsive and SEO optimized blogger template. A stylish and pretty looking blogger template and also has an adcode widget.You can use this for Tech, Book, shopping, magazine, review blogs. This is a user-friendly blogger template. 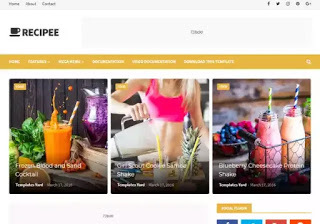 Enside is another best responsive blogger template.It is very fast loading blogger template.This is user-friendly, adsense supportive, and stylish blogger. you can use Enside blogger template for Tech,personal, business, Review Niche blogs. TechWise has a premium looking and This blogger template was adapted from WordPress. You can use this for review blogs, Tech blogs, business blogs. Top Magazine is a SEO optimized,responsive blogger template with a clean layout. Robusta Blogger Template is a high quality, user-friendly, Mobile friendly blogger template. It has lot of standard features. You can use this blogger template for Tech, Business, personal blogs. Sigma is a responsive blogger template with SEO friendly. 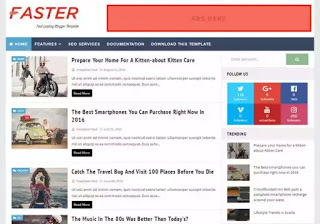 You can use blogger template for News,Personal, Business, Fashion, Review,Games, Food, Technology download blogs. You can rank your post on Google search engine using this blogger template. Recipee blogger template is specially designed for newspaper,magazine, personal blogs. This template is SEO friendly, Fast loading and User-friendly. You can demo it before download. Faster is well structured Template, it loads very fast and has some unique features with stylish layout. This is SEO friendly and User-friendly template. You can use this template for Tech, news and personal blogs. Finally this are the top best easy AdSense approval Blogger Templates, with the above listed Templates I am sure you will get AdSense approval for your blog.